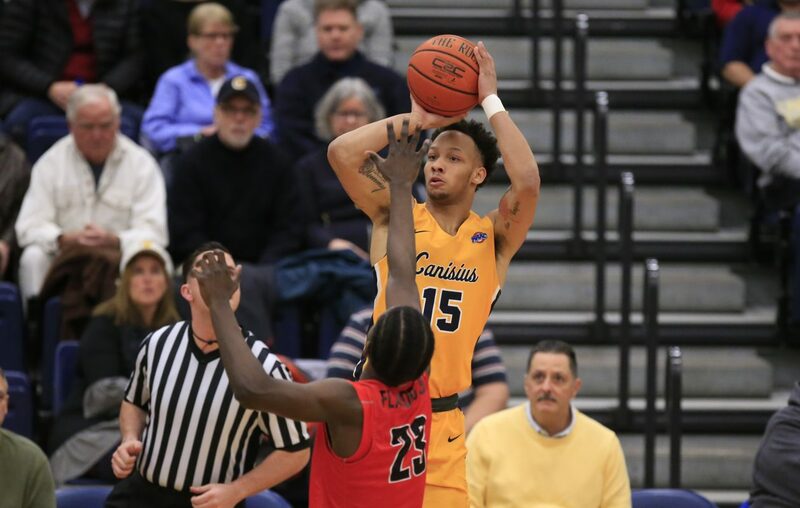 Takal Molson, a guard on the Canisius men's basketball team, has submitted his name into the NCAA transfer portal. The Canisius athletic department on Saturday confirmed Molson's intent to explore a transfer, which was first reported by WatchStadium.com. Molson, a Buffalo native, averaged 16.9 points, 5.4 rebounds and 1.96 assists in 32 games in 2018-19 for the Golden Griffins. In two seasons, the 6-foot-5 guard scored 959 points and averaged 14.7 points per game. Molson also helped the Griffs reach the MAAC semifinals this year; Monmouth defeated Canisius 73-59 March 10 in Albany. As a freshman in 2017-18, Molson averaged 12.6 points, 5 rebounds and 2.6 assists in 33 games, and was named the MAAC Rookie of the Year. Molson is the second player from Canisius to announce his future intentions. On Thursday, junior guard Isaiah Reese announced that he has declared for the NBA Draft. Reese, the preseason Metro Atlantic Athletic Conference preseason player of the year, averaged 11.8 points per game and 5.9 rebounds in 20 games, before he was suspended Feb. 1 for what Witherspoon said was conduct detrimental to the team. Reese did not play in Canisius' final 12 games because of the suspension.